Between 1979 and 1999 Derek Diorio co-founded Sound Venture Productions, the Ottawa Improv League, the Skit Row comedy troupe, the Skit Row Comedy Club, the Creative Block, Diorio Productions and Distinct Features. 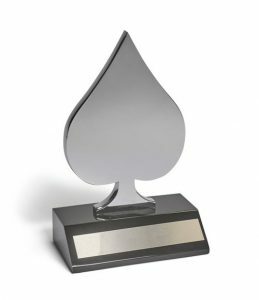 He started his career as an award-winning radio advertising copywriter and moved on to co-write with Dan Lalande and Rick Jones for several Ottawa-based television series and specials (You Can’t Do That on Television, The Raccoons, Skit Row). In the eighties he produced, performed and promoted several live stage productions with Skit Row in both the Theatre and Studio of the National Arts Centre while simultaneously developing a corporate video business. 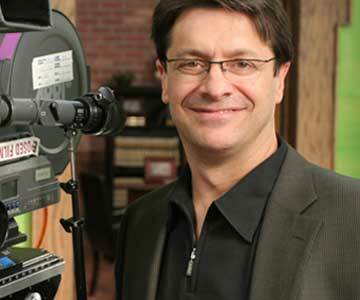 In the nineties, he started directing television shows for the then nascent Canadian specialty channels. Since 1997, he has worked to develop emerging writers, art directors, cinematographers and crew, culminating with the production of Ottawa’s first feature film, Two’s a Mob in 1997. 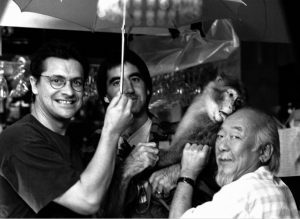 In 1999, he directed and co-produced House of Luk starring Pat Morita (The Karate Kid) and Michael Moriarty (Law & Order). In 2000, he created a micro studio that produced 3 indie features – A Taste of Jupiter, Punch & Judy and The Kiss of Debt, which employed over a hundred Ottawa actors and starred Patrick McKenna, Eli Wallach, Teri Garr, Graham Greene, and Ernest Borgnine. In 2018 he was an Executive Producer of Jocelyn Forgue’s Christmas Film Noël en Boîte. From 2002-2011 he directed over 120 half-hours of French drama that were broadcast on TFO and Radio-Canada. He also directed, produced and performed in the comedy series Ottawa Technically Funny for the NewRO as well as the dramedy Mann to Mann for BRAVO. In 2009, he wrote and produced The Quantum Tamers: Revealing our Weird and Wired Future, an innovative documentary on Quantum Physics featuring, among others, Stephen Hawking. The Quantum Tamers won the Prix Audace, 2009 Pariscience International Science Film Festival in Paris, France. In 2012, he was an Executive Producer on the New Zealand Cannibal comedy feature film, Fresh Meat. From 2002 to 2006 he directed Francoeur – the first Franco-Ontarian Teleroman. From 2007 to 2011 he worked in Sudbury where he directed two more Franco-Ontarian television series’, Météo+ (2008-2011) and Les Bleus de Ramville. 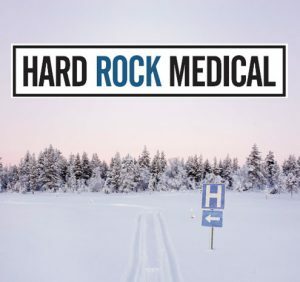 It was during this time that he developed an affinity for Northern Ontario which led to his next Northern project – Hard Rock Medical. 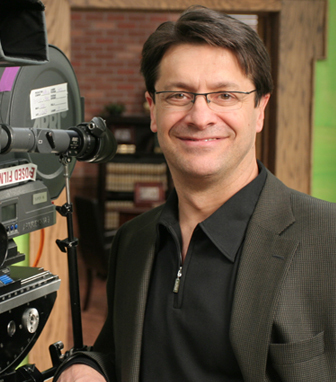 His work as a copywriter, producer, director, writer and performer has earned him many international awards, including CLIO, RBC and Marketing awards in Advertising, a Banff Television Festival Award and a Cable Ace Award with Patrick Granleese for The Railway Dragon, and two Gemini award nominations in Canada. In November 2007, he was inducted in the Algonquin Media Hall of Fame. In January 2008, he was presented with ACTRA’s Lorraine Ansell Award of Excellence for his outstanding contribution to the Ottawa film and television community. Derek’s commitment to the growth of the Northern Ontario film industry is evidenced in the ongoing mentorships with the Digital Cinema and Broadcast students of Canadore College.